Enjoy another year of dazzling lights and scenery at Descanso Garden’s 2018 Forest of Light. Large-scale displays, some interactive, will take over some of the most beloved areas of the park for a one-mile walk that is truly enchanted. New additions this year include Lightwave Lake, neon-lit benches around the park, new dining options overlooking the body of water, and much more. If this is not already a yearly tradition for you, it’s never too late to start! Tickets run $23-$25 for Descanso Garden members and $28-$30 for non members. Prices fluctuate depending on the date and time. Folks can also check Goldstar for discounted tickets while supplies last. For tickets and additional information, you can visit the link below. The experience is open daily from November 18-January 6, with closures on Thanksgiving, Christmas Eve, and Christmas Day. 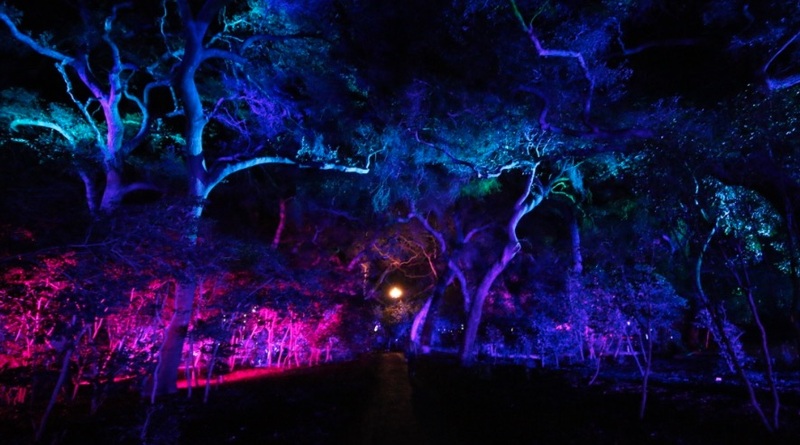 For a better idea of what to expect, check out our preview of the 2017 edition of Enchanted: Forest of Light below.